What is it that kid’s crave? This can be such a complex question yet it can also have such a simple answer. Kid’s crave adventure and fun and they also crave comfort. 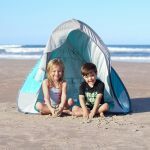 Children love to embrace the outdoors, they strive to have both small and large adventures everyday, and what seems like just a trip to a new store to you could be an exciting and eye opening experience for them. 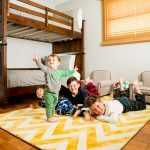 Children are constantly growing and changing and their feet are no different. See Kai Run has made it a priority to study children’s feet so they can consider every detail that goes into the making of their shoes. 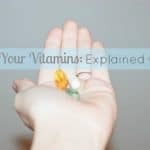 This ensures that their shoes are designed to promote healthy foot development. Are you curious what this means? Do you think a shoe is just a shoe? 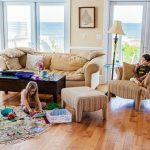 Well, shoes are actually one of the most important clothing items you will shop for your child. Ideally, children should spend much of their days barefoot to complement their natural foot development and proper biomechanics of movement. However, many days this isn’t always possible. 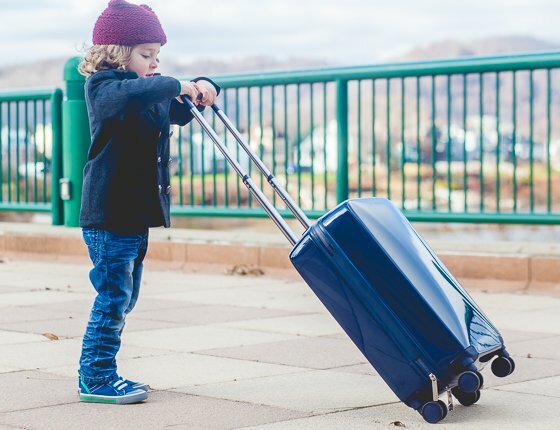 Kids have to leave the comfort of their own homes and yards and they need to do so with shoes on their feet. We want our children to have shoes that are fashionable, yes. We also need to make sure that they meet certain standards to ensure that our children’s feet still develop properly. 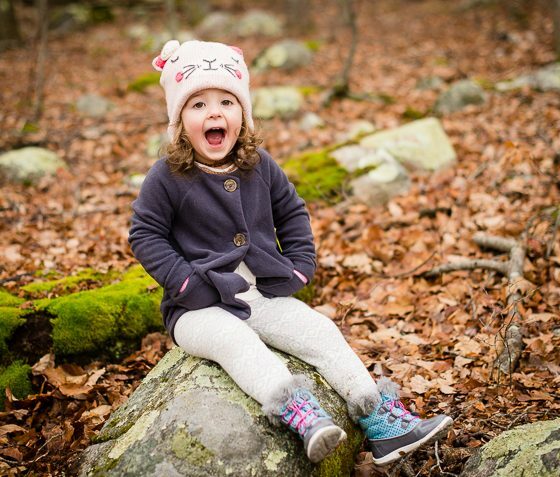 Shoes for your little ones need to be flexible and engineered for maximum mobility. 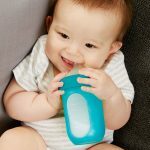 They also need to have a wide opening, allowing for the foot to slide in easily, and then a secure attachment so they stay on and do not slip off. 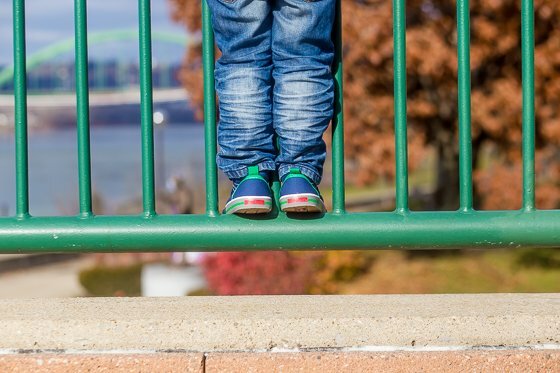 In order to ensure young children’s feet develop the proper strength naturally, their shoes need to have plenty of room to grow. 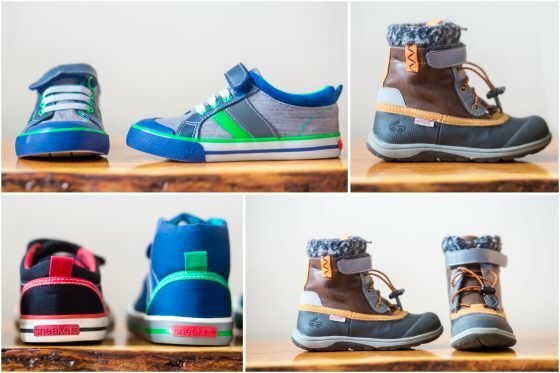 With See Kai Run, you will find an amazing and fashionable selection of shoes that are designed to promote the healthy development of your child’s feet. 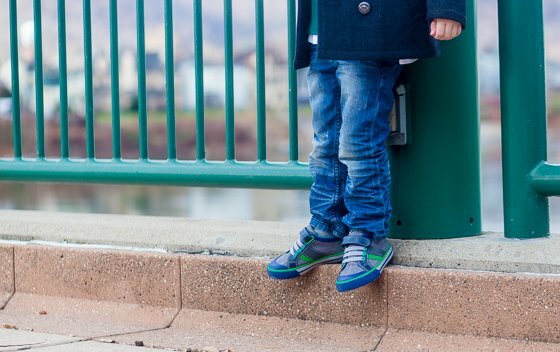 When you think of the perfect pair of shoes for your little guys what comes to mind? To us, the first and most important thing is comfort. 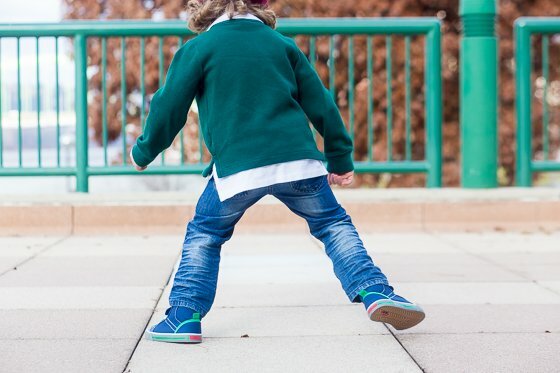 For kids who never seem to stop moving, you want to make sure that their feet are properly equipped for any stunt they may pull. 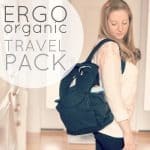 And next, you certainly want trendy shoes that can be worn with different outfits, dressed up or down, and will stand up to a ton of wear and tear. Sometimes it seems that girl shoes are plentiful and boy selections are lacking. This is HARDLY the case with See Kai Run. You will find a wide selection of shoes that are trendy and comfortable. One of our favorites this winter season (that will also be perfect going into spring) are their Tanners. These low tops can be worn with just about anything from sweaters to sweatpants. They feature padded collars and tongues allowing kids to play in comfort. They also have faux laces and an adjustable strap. The Sammi and the Russell are similar shoes and also fantastic options for transitioning into spring. Looking for a high top, yet still a stylish option? We can’t blame you. 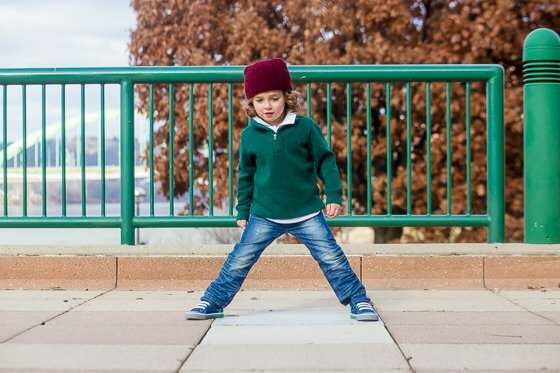 High tops are all the rage for both kids and adults alike these days. The Dane would be the perfect fit. Crafted with suede and canvas, this shoe is fully lined with natural and breathable materials. It features a built-in rubber toe for extra protection and durability. No more front of the foot scuff marks to worry about! Whatever it is the little man needs in the way of shoes this season, See Kai Run has got you covered. 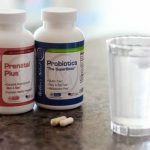 Chances are the winter has started to hand you some tough weather. If that is the case, make sure you are prepared for it, and also for the mucky spring rain and cool temperatures with the Jack boot. He will be ready for adventures, prepared to take on anything. These boots are waterproof and designed to keep water and debris out. For quick drying, you can even take out the lining. 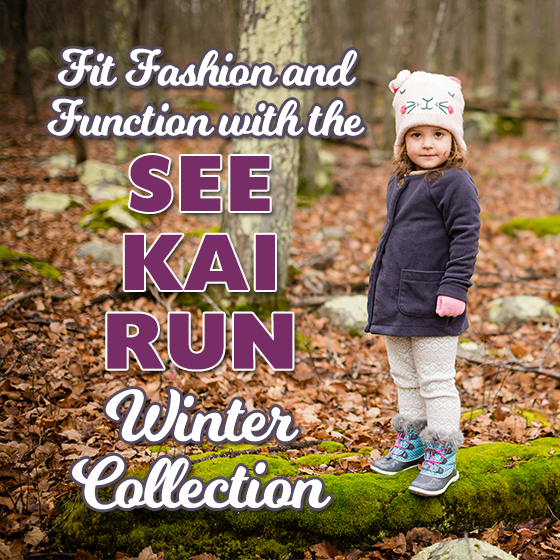 See Kai Run’s Abby boots are the perfect winter boots for active little girls. 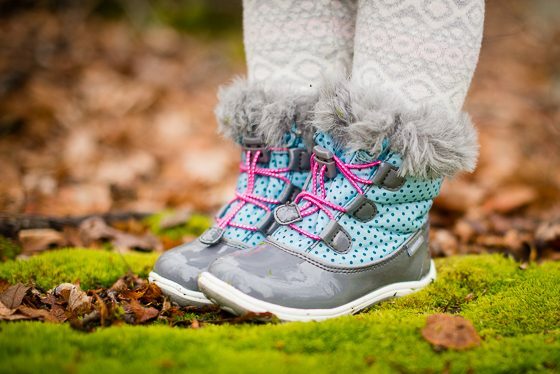 Featuring an incredibly grippy, non-skid rubber sole – ideal for those slippery icy/snowy/rainy days of winter – your daughter will be able to run circles around the other kids at the playground. With a shiny patent gray base, waterproof construction, and a touch of gray faux fur around the top, these boots are a fantastic balance of fashion and function. Each Abby boot has a hiker-inspired adjustable toggle to help ensure the boots fit perfectly. With a quick cinch of the toggle, she’ll be off running with warm and toasty toes (plus we just love how the contrasting bright pink laces look against the soft blue and gray). 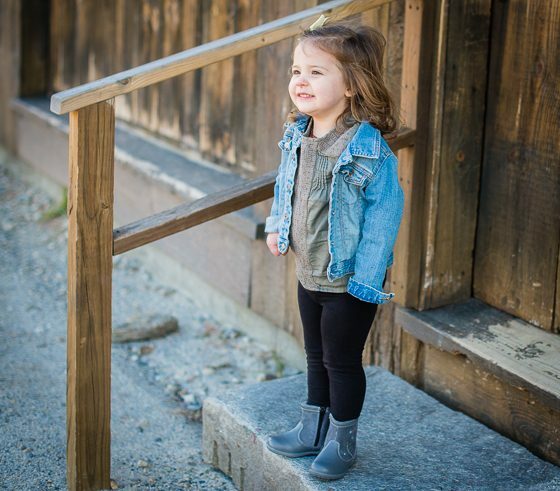 If you’re loving ankle boots in your own wardrobe, these trendy Mizuki boots will be perfect for your little girl. 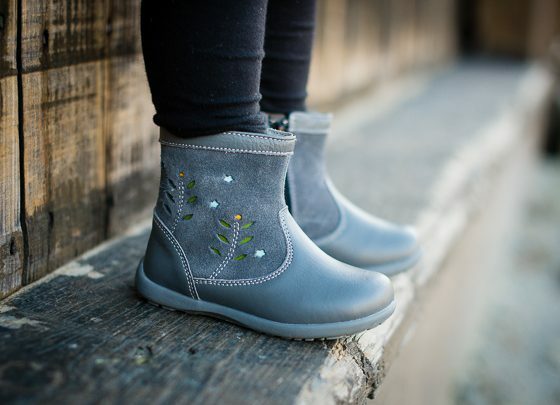 Made from soft gray leather and suede, and featuring sweet little fern and flower cutouts (revealing green, yellow, and mint underneath), these boots are comfortable and cute. And finally – boots that are actually easy to put on and take off! The side zipper on each pair of Mizuki boots is ideal for encouraging independence (and reducing your “Let’s get out the door now!” stress in the mornings). 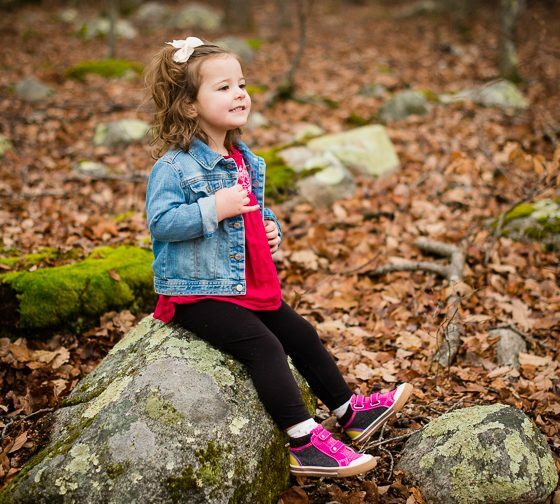 The rubber sole is perfect for play anywhere your daughter goes – from preschool, to the playground, and beyond. 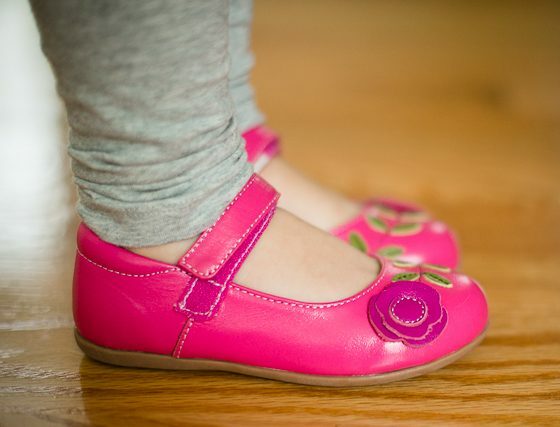 And while we’re on the topic of encouraging independence, See Kai Run’s Carli shoes will quickly rocket to the top of your favorites list (shown here in berry/hot pink) because they’re oh-so-easy for your toddler to put on herself. These shoes have an easy-to-attach Velcro strap, fully leather lined interior, and a padded collar for the ultimate in comfort (which means she won’t be complaining that these shoes hurt her feet like other Mary Janes can). 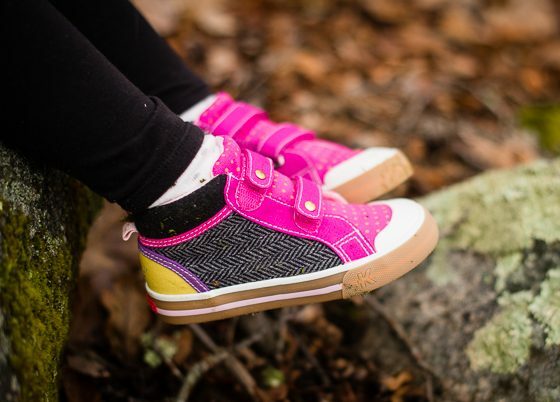 Your daughter will love the bright pink color of this twist on the classic Mary Jane, and the pink leather flower and green leaves that adorn the toes. As with all See Kai Run shoes, the Carli shoes have a grippy rubber sole that will withstand lots of play. For the girl who loves to run, run, run, but also loves to look cool, the Kya high top sneaker is where it’s at. See Kai Run has created the ultimate example of pattern and texture mixing with these fashionable sneakers that feature polka-dot canvas, wool herringbone, a yellow canvas heel, black padded collar, and gold studded Velcro straps. 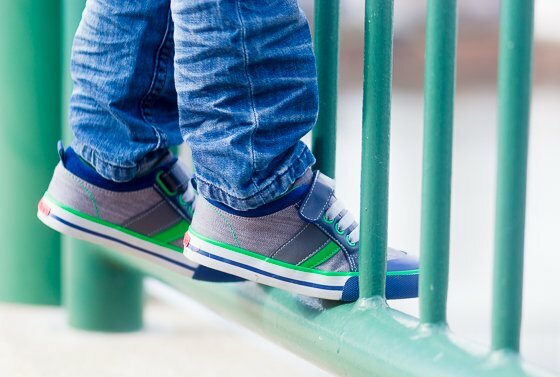 The opening of these sneakers is extra wide, allowing children to easily slip in their feet, attach the straps, and go. These Kya kicks are the perfect complement to any outfit – from leggings, to dresses, to jeans. And with the reinforced rubber toe, you can rest easy knowing that your daughter’s feet are getting that extra bit of protection as she plays. 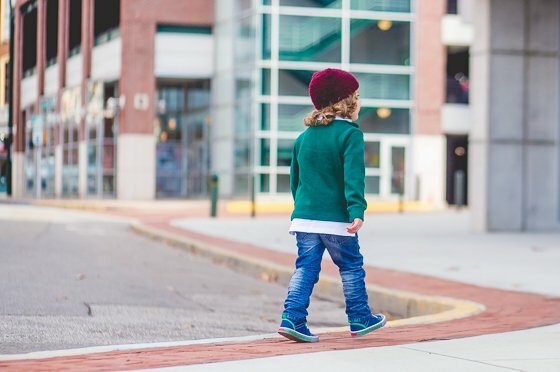 See Kai Run was established in 2004 by a Seattle mom who was on the ultimate quest to find a shoe that met very important and specific criteria. The shoes she was in search of needed to be the best for the health of her child’s feet and they also needed to sport an exciting yet fashionable design. She wanted to find a collection that was both fun and sophisticated while still promoting the development of healthy feet. When she couldn’t find any, See Kai Run came to inception. Fast forward to today and she has a dedicated team of footwear makers and designers who work to carry out this mission. 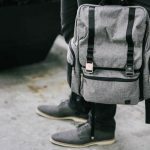 They offer both their experience and footwear knowledge to ensure that every style they produce is fun and fashionable while being perfectly crafted with the finest in materials. 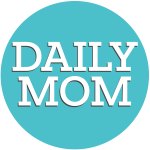 Stay up to date on all the latest fashion for kids in our Children’s Fashion section!